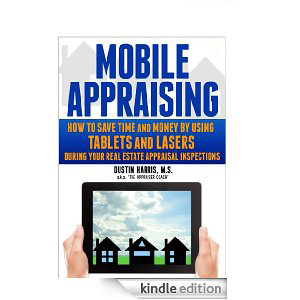 Whether you are new to using mobile tools for real estate appraisal and want to start out on the right foot, or you have been using laser measuring devices and tablets or iPads® for years and need to find a more efficient way to utilize them, this book is for you! Dustin Harris (better known in the industry as “The Appraiser Coach”) is the same guy who is crazy enough to put his tax returns on his website. His way of doing appraisal work is different (and more effective) than most everyone else out there. His gross receipts prove it. A big part of his strategy for success includes using a Disto® measuring device and an iPad® during all of his inspections. He has been using mobile tools for nearly two decades and now spends much of his time teaching other appraisers how to use them, why they should use them, and the most effective and efficient ways to use them. In this e-book, Dustin uses his style of whit and easy-to-read manner to teach any appraiser how to use these tools and why they will save you both time and money in a short amount of time.